Have you ever taken a class, or read a How-To book, or had someone teach you a craft or a specific skill and later, you realized that what you learned there applies perfectly to a different project that you are doing now? I have had that happen. When I took the How To Revise Your Novel, or HTRYN, back in the winter and spring of 2012, I thought I was learning how to edit a novel. I was so new I had no idea what I didn’t know. I was so green, every time another author mentioned something they were doing, like writing a bio to put on the back of their books, or they mentioned marketing or social media, I was completely clueless. One thing that helped me was the HTRYN class. The structure of it taught me to break what seemed like monumental tasks, down into component parts. It taught me to really see how something is put together and how each part is related to the whole. It changed how I approached new tasks. It gave me the confidence to take on new challenges. If you’re interested in a step-by-step approach to making your novel the best it can be, if you want to learn how to approach new tasks with confidence, consider taking this class. It opens tomorrow Tuesday, December 8th at 10:00AM EST for just one week. Registration will close on Monday, the 17th at 11:59pm EST. Don’t miss this class. It will not be offered again for at least six months, perhaps a year. Full information and details about the class will be released tomorrow. Set your alarm! Note: Today ONLY! Holly Lisle and I have a free gift for you if you sign up today. If you sign up, contact me by email at ccockrellauthor@gmail.com, and I’ll send you the link for your free gift. Here are the links for joining and for the mini-workshop on revising. Goal setting helps me keep on track with my writing. I established monthly goals in January and I try to report back to you all every month, just to keep myself honest. So here’s how it went. Also completed, though I did miss August’s Merry-Go-Round Blog tour post on the 18th. There was no August Camp NaNo. It was held in July and I did participate and win. Did revise two. Dogs and Cats (see below in August’s Other Stuff, and The Reunion, and submitted that to the Southwest Authors contest. I’ll find out late September or October how I did with that. I’m still revising it. Changed the station’s (and series!) name to Gulliver Station. The manuscript I’m working on, Hard Choices, (turns out to be the third book in the series) was drafted last November. I had to take time and work out all the science and make drawings of each level of the station. It’s hard being a space station designer. To make it more difficult, all the measurements in the station are in metric. Ugh, math has never been my strong suite. However, now that all of that is finished, the other 3 books will be easier. Two are already drafted and the last one will be drafted in November. 1. 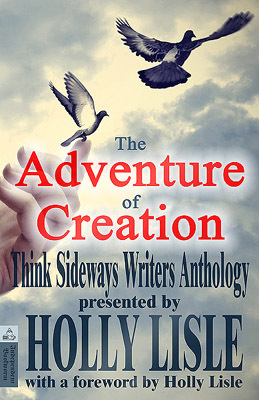 Did a class called Mugging the Muse by Holly Lisle, https://howtothinksideways.com/, and learned a lot about myself and how to write better. If you’re a new writer or an experienced author, check out her courses. Some are even free! 2. Submitted a short story, Dogs and Cats, to the Forward Motion site, http://www.fmwriters.com/zoomfm/, for their 2013 Anthology, Cats Eyes. The story was accepted! I’ve got a lot to do, so I’d better stop talking about it and get on with it. New Story has been Published! AND! I have my newest book, Recall up on a promotion on Smashwords.com. For a three more days, it will be free to download. Go to http://www.smashwords.com/books/search?query=Connie+Cockrell and use coupon code SW100. Go today. This promotion will END on the 31st so hurry!